“What is an INDC? Countries across the globe committed to create a new international climate agreement by the conclusion of the U.N. Framework Convention on Climate Change (UNFCCC) Conference of the Parties (COP21) in Paris in December 2015. In preparation, countries have agreed to publicly outline what post-2020 climate actions they intend to take under a new international agreement, known as their Intended Nationally Determined Contributions (INDCs). The INDCs will largely determine whether the world achieves an ambitious 2015 agreement and is put on a path toward a low-carbon, climate-resilient future. How does the process work? The process for INDCs pairs national policy-setting – in which countries determine their contributions in the context of their national priorities, circumstances and capabilities – with a global framework that drives collective action toward a low-carbon, climate-resilient future. The INDCs can create a constructive feedback loop between national and international decision-making on climate change. INDCs are primary means for governments to communicate internationally the steps they will take to address climate change in their own countries. INDCs will reflect each country’s ambition for reducing emissions, taking into account its domestic circumstances and capabilities. Some countries may also address how they’ll adapt to climate change impacts, and what support they need from, or will provide to, adopt low-carbon pathways and to build climate resilience. When will we see them? A number of countries have already submitted their INDCs, including the European Union, the United States, Russia and Mexico. Many other countries are expected to communicate their INDCs before October 2015. All INDCs submitted to the Secretariat by October 1st will be included in a synthesis report by the UNFCCC Secretariat that will be released by November 1st. 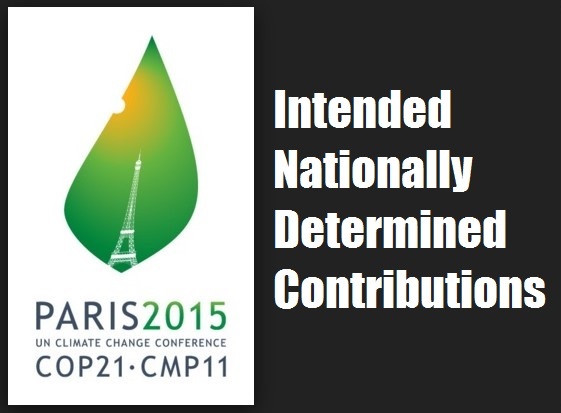 The report will reflect the aggregate emissions impact of available INDCs ahead of COP21. The key elements in an INDC are they should be ambitious, transparent and equitable that will support and translate to inclusive growth, sustainable development and poverty reduction. These are the best guarantees of a sustainable and successful Intended Nationally Determined Contributions.